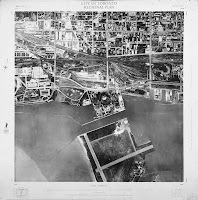 During the last four decades of the 19th century, photographs were taken from the air using balloons, kites and pigeons, but it was the invention of the airplane and its rapid development during World War One that set aerial photography on a firm path forward. 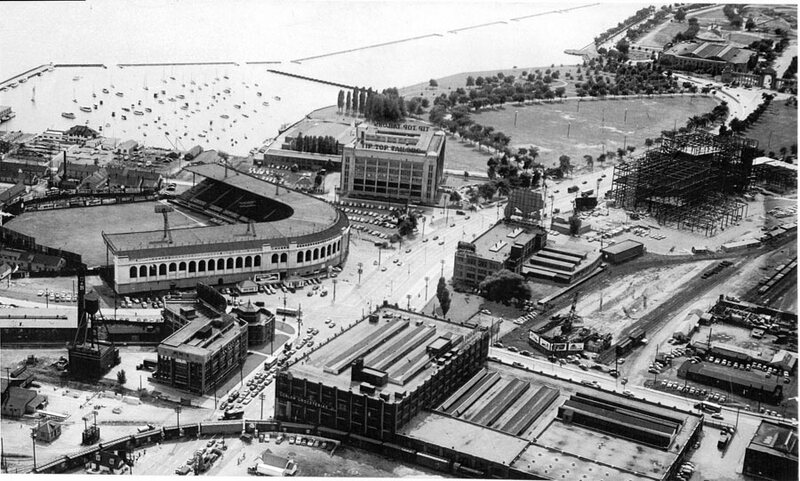 Almost the earliest photos of ‘Toronto from above’ was a series dating to 1919. It is preserved in its entirety because it was submitted for copyright protection by the Canadian Post Card Company of Toronto to the Canadian Government and the British Museum. 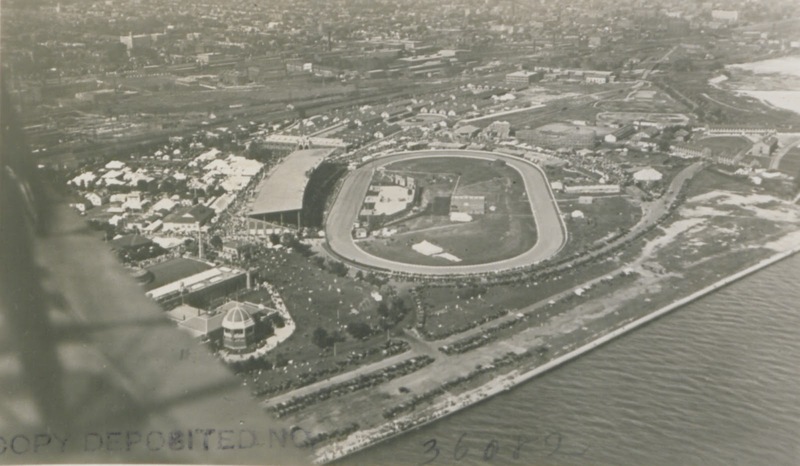 The Canadian National Exhibition was featured extensively in this series, which is no surprise given the market for postcards among Exhibition-goers. 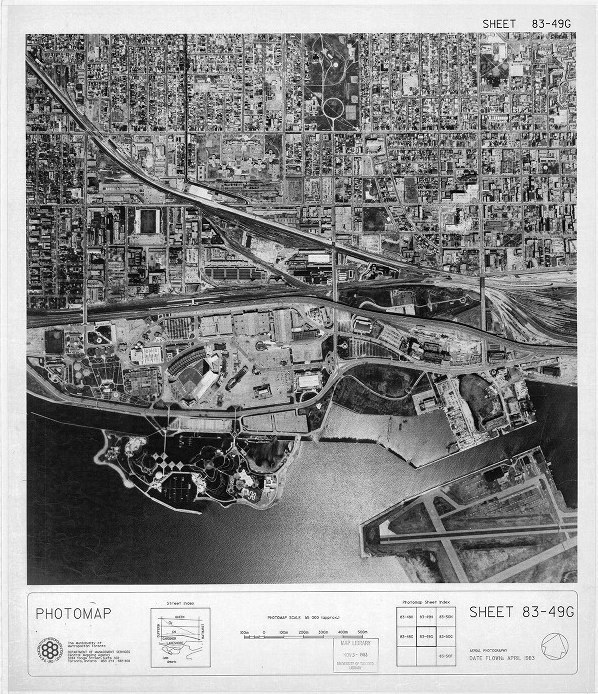 But it was the invention of specialized cameras for taking aerial photos by Sherman Fairchild in the 1920s that made this new perspective an indispensable adjunct to mapping. 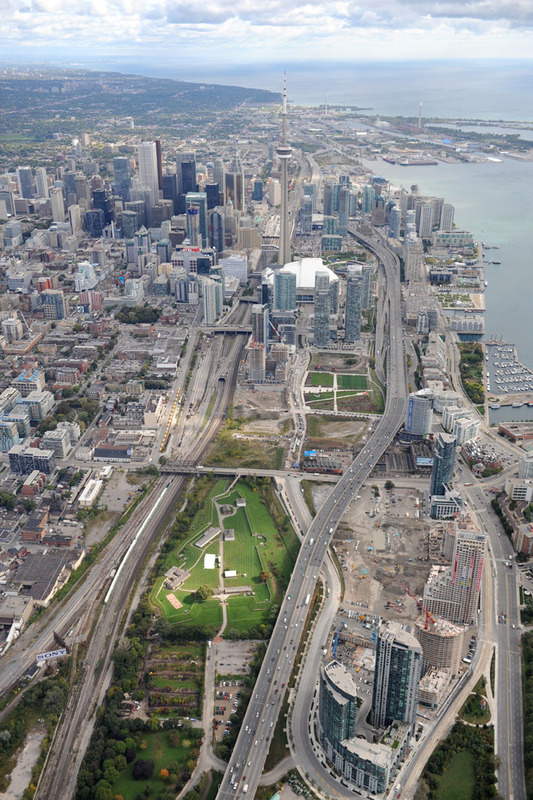 Fort York has been photographed thousands of time from the air, but few pictures have rivaled for composition and handsomeness that taken by Bernard Dupuis in 2009 (see right) showing the fort highlighted by a ray of sun and set in the context of its new neighbourhood. 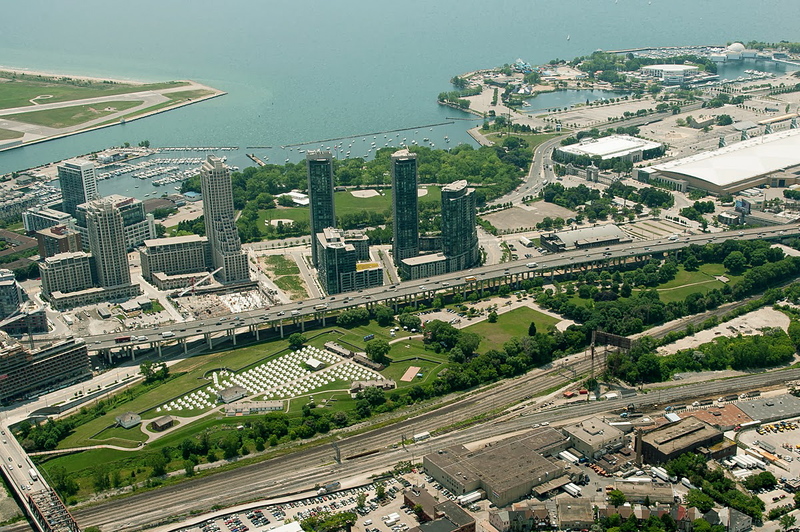 Beyond it stretches the great city that was established in 1793, the same year as the fort. 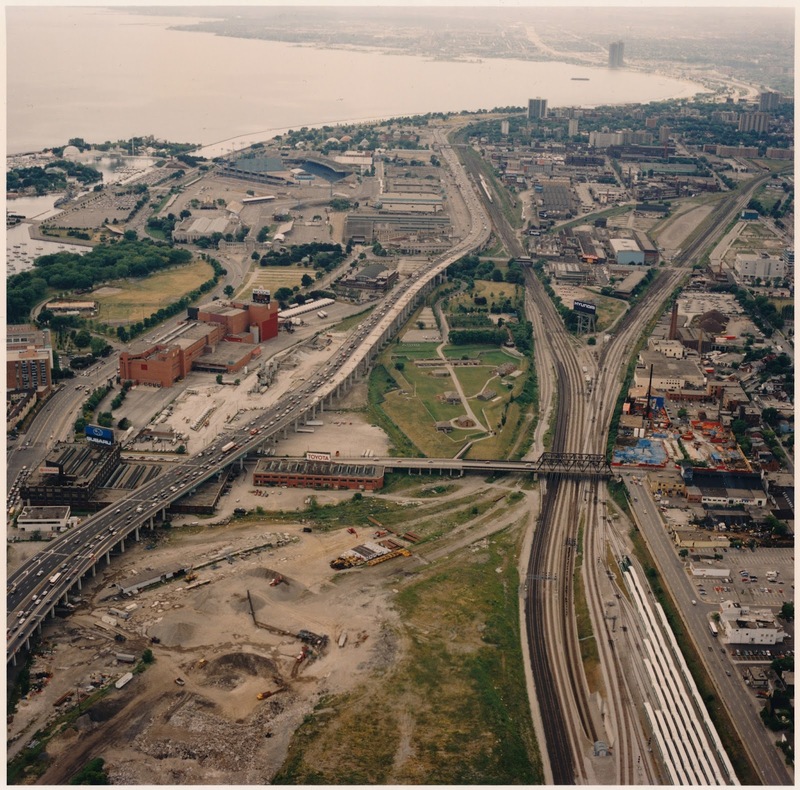 Thanks to the University of Toronto Map & Data Library for providing image hosting!